The book at hand, for the first time, presents to the German speaking audience the selected writings of the Turkish mystic, translator and author Bulent Rauf [/], who dedicated many years of his life to the personal study, the theoretical interpretation and the practical imparting of what is as easily named as it is difficult to explain by the term “Unity of Being”. 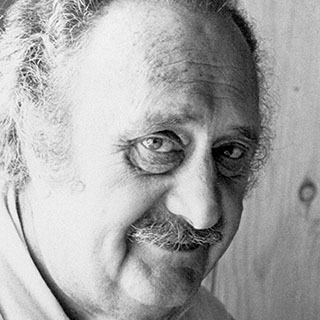 Born in 1911 into an aristocratic family in Istanbul, Bulent Rauf travelled to the United States in his early years to study English Literature at Cornell as well as Archeology at Yale University. He thoroughly immersed himself in the teachings and the work of Muhyiddin Ibn Arabi [/] and translated into English one of his most important books, the Fusus al-Hikam (“The Bezels of Wisdom” or “The Wisdom of the Prophets”) from the Ottoman Turkish version incorporating the comprehensive commentary attributed to Ismail Hakki Bursevi. From its inception in 1977 he was Honorary Life President of the Muhyiddin Ibn Arabi Society [/], which since then has dedi­cated itself to the academic research of this Andalusian Sufi, whose understanding of the common esoteric lore of the three Abrahamic religions of Judaism, Christianity and Islam constitutes a legacy the importance of which today might well be greater than ever before in history. In 1975 he founded the Beshara School [/] for Intensive Esoteric Education at Chisholme House [/] in Scotland, to which he was the spiritus rector and consultant until his passing in 1987. There, he also used to oversee the kitchen since he was a highly gifted and well respected cook. His major writings concerning all these varied aspects of his work you will find compiled in this book. Although Bulent Rauf, during his lifetime, was an incomparable consultant and a central guide to many people from all over the world in their search for spiritual under­standing and deeper self-knowledge, he remained – and this quite deliberately so and for good reason – largely unknown to the general public or, to put it more aptly: invisible or “hidden”. There were, on the other hand, hundreds of thousands if not millions of readers who had come across the impressive character of “Hamid” in Reshad Feild’s book The Last Barrier since it was first published in 1978, ignorant of the fact that this was a dramatically fictionalized account of this very same mystic, who, as a companion over many years, had lastingly influenced Feild. Bulent Rauf’s “hiddenness” can be explained, not least, by the formlessness of what he imparted. Everything formless is by nature invisible. This formlessness – which must in no way be mistaken as meaning arbitrary or unstructured – is conse­quent to the fact that the facets of the body of knowledge which he communicated to his co-students are of a more ancient origin and reflect deeper roots than the traces they left, subsequently, on more outer levels of expression in the various spiritual and religious traditions. * Note by the publisher: Uwais al-Qarani [/] is the Islamic mystic from the seventh century who is said to have been the “first” Sufi and who is reported to have inherited the prophet Muhammad’s second cloak (as an expression for the inner, spiritual succession). In later Sufism, Abdul-Qadir Gilani [/] (1077–1166) is also known as “the Pole of Power“, Muhyiddin Ibn Arabi (1165–1240) as “the Pole of Knowledge” and Jalal ad-Din Rumi (1207–1273) as “the Pole of Love”. Khidr [/] is a mythical figure probably going back to pre-Abrahamic times and who is revered in many spiritual traditions; he shows parallels to the Zoroastrian divinity of Sorush, to the figures of Elia in Judaism and Saint George in Christianity, he is understood as the “guide of Moses” and the “teacher of the Sufis” in Islam, and he appears in Celtic cultural areas as “the green man”. All religions have an esoteric base, foundation. When these are formu­lated as religions, they take on individuality of form, difference. But in their founda­tions, at their base, in the esoteric state they are all one, because Truth is one. The next cycle of mankind will be divided into two sections: the ones who know and the ones who do not want to know. The meeting platform of the ones who know will be on the esoteric level. We are all concerned with the preparation of this coming next cycle of mankind, which will be on the esoteric level. No one who can be taught should be left out, except those who do not want to know and who therefore will not take heed. It is not at the level of religions that a meeting is possible, because religion having form is a distin­guishing factor; but it is possible on the esoteric level. Secrecy is only valid at the religious level, but the esoteric truth can no more be hidden from those who must know. Beshara is not an Order […], but […] Beshara is a way of being which fits not into any form because of its magnitude and infinity, because its way of thought and being is the service of an Absolute Infinite Being beyond any form of possibility or limit [… which passes] from total non-manifestation to Infinite manifestation without end or limit! Anyone who knows this is of Beshara for ever until he denies the Truth. Teaching in the Way is also discussion in the Way, Being together in the Way, with tea and pleasantnesses, and Love, and small ways of speech develop that others of the Way understand. You are nothing but a servant, and so am I. Let us keep this clearly in mind. Both of us, and all of us [of Beshara] are nothing but just simple servants and not specially good at our job either, because the best servant is the Master, the Lord and unless one completely identifies with the Master one cannot know exactly what His “needs” be and so serve Him best, all of us are far from this position as yet. So do not let us give our­selves self-delusory importance. What He wishes will happen. Praise is to Him alone, Who has made everything beautifully and then liked it so. That is, because He is beautiful and loves the beautiful. All praise is to Him in the heavens and on the earth and in the universes. Yes you have both changed a great deal. Please continue. It seems you are expected. But even being expected needs the perseverance of arriving at the door. But sometimes the door is shut and unless someone from the inside opens it, one cannot enter. There­fore the effort one puts forward, if not expected, leads to nowhere. Yet one must still persevere. The best of persevering is through humility, because humi­lity is what goes with reverence, and reverence is essential for knowledge received. Only through perseverance for the knowledge received does one show acceptance of the invitation to come to the door. Then you must knock and wait until it is opened from the inside to let you in. The house you enter is the house of Love. Ah! But there is no love without service, service of any kind. Love is not an eternal bank holiday! It is difficult, and the required service must be continued even if there is no sign of any love either accepted or returned. Perseverance again! In humility and service! In the meantime you must learn the meaning of [ritual] washing. And of washing away the pride of your intellectual learnings through the years. You have, like bees, acquired a lot of knowledge of different varieties, and have never let yourselves be the grateful recipients of what was granted to you. You have thought you acquired it, collected it, earned it. All that is false. Because it is pride and comes from the attribute of Mudhill [the Humiliator]. knowledge is given to one, not acquired. You are studying and trying to learn: this is your volition and being open to reception. Nothing more. If it is not given to you, you may be as open as a door to the north wind, and nothing but cold air will blow through you. It is given. What we are after is Union with the Absolute, which has no lower self or nature […], therefore what we want is not to stress the separation but instead the Union, not to underline our lacks in the relative state we are in, but to amplify our positive qualities which are our only true appoint­ments, so that daily we increase our consciousness of Him, Who is going to dwell in our hearts into which the Absolute can really fit. All time spent on trying to undo darkness is time lost, because the only way to undo darkness is not by dwelling on it but producing more and more light. Light is Absolute whereas darkness is relative lack of light. Naturally, the only remedy is to make more light. Do not, my dear, allow anyone to dwell on anything but beauty, which is His face. that completeness and perfection in any sense is only possible in Himself. While a man is in the relative state, such perfection is impossible. Even Rumi, though he had reached Perfection and Union in this relative life, had to celebrate Seb-i Arus, his nuptial night, that is his Union, after his death. Hallaj had to be killed because he announced his Union while still in the relative state. It is true that Union can take place during relative life. But in such cases the relative man that has arrived in Union does not publicize it. To all intents, he appears well-balanced, equal to any relative man, but he will be found, at times, with his eyes closed as if he had gone to sleep to all appearances. But in Reality he is in a state of wajd [Union], and he is not asleep and he is not here on earth. Then he will awaken and resume his everyday living as an ordinary man. This is the state of mutu qabla [anta mutu], which means you are dead before you are dead! A difficult and rare state to achieve. Today, exactly thirty years after his passing, the legacy of Bulent Rauf is an invaluable gift on many levels to all those who long for this Union and, as “People of the Way”, jointly with others get involved in this great lifelong adventure of self-knowledge. 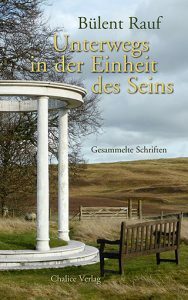 For the opportunity to help open his writings to the German speaking audience, Chalice Publishing would like to thank the Beshara Trust and the Chisholme Institute, espe­cially Meral Arim as well as John Brass, Peter Young, Elizabeth and Kim Roberts, and Christopher Ryan. Greatly indebted we are also to Reshad Feild, without whom we would not have gotten to know and esteem the work of this noble man and great mystic Bulent Rauf.